USDA Needs More Time to “Review” Monsanto and GMO Crops? The laughable insistence by the Department of Agriculture this past Friday that it needs more time to look at the data for Monsanto and other biotech companies who are poisoning our food supply is further evidence that our government institutions are bought and paid for with corporate cash. And instead of keeping a watchful eye over the public’s food supply, it was recently detailed by Anthony Gucciardi how they specifically use our tax dollars to push Monsanto’s agenda. As Dow pushes for its new corn called “Enlist” to be approved by regulatory bodies, the USDA is saying it needs ‘more time’ to conduct environmental studies. It will come down to a battle of the public’s insistence verses the coffers of mega-billionaire companies, and we will either see new GMO alternatives or regulatory action. It’s more than this one crop that hangs in the balance, though. Dow first wants to roll out Enlist corn, followed by soybeans and cotton to be used in combination with its new Enlist herbicide that combines the weed-killers 2,4-D and glyphosate. Since the USDA seems to need some help in making their decision, let’s have a gander at just some of the studies coming out in the past months about the negative impact of GMO on the environment as well as our health. I encourage you to share this article with as many people as you can to get the word out, as well as March on Saturday, May 25th in the March against Monsanto to help convince our government agencies that we’ve had enough of GMOs . Whether it’s from Monsanto, Dow, or anyone. The US Environmental Protection Agency has recently been slapped with a lawsuit because GMO agricultural practices and pesticide use is killing off our bees, a viral part of the ecosystem that helps to pollinate crops. 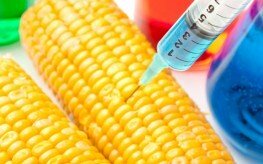 GMO corn and the high fructose corn syrup which it is often used to make is killing us at staggering rates. Diabetes and cancer rates as well as obesity can all be traced back to GMO crops. The funky DNA in GMO crops is creating super bugs that then warrant more and more chemical fertilizers. When will it ever stop? GMOs are hiding in all kinds of foods since our government won’t support labeling, so the cereals you eat, the meals you dine on in restaurants, and even the ‘health’ food you consume is often laden with GMO. Organic farming can feed the world, even though we’ve been told otherwise. The list goes on, ad infinitum. What other proof does the USDA need? USDA is simply an aka for GMO ….anyone waiting for the USDA to approve or deny anything is living in a country that no longer exists. Stocks Up, we need more time to dump it before it crashes!!! Just think Hiliary may run for president and Bill owns Global Innovatives ???? Whose your daddy???? Can the average american afford to pay over 10 million for a condo??? When bad decisions are made bad things can happen (universal law)!! We are selling organic foods from Agent Orange Mexico??? God help this planet!!! The Lobbyiists are known as "Follow the money syndrome $$$$" I understand. The government over the past 30 years slowly has moved from "by the people for the people" to the "for the corporation by the corporation (follow the money syndrome) end result and being brainwashed by $$$$$. Between the fracking whch causes radiation, chemicals, pipelines in our waterways are poisoning this planet. The end result will be that "mother nature" will need to balance" that which man has destroyed (universal law). USDA Organic is corrupted. Move over USDA. Corrupted by the government, lobbyists (follow the money syndrome $$$$). God help this planet and the american people. This is only the beginning!!! And we need time to dismantle and rebuild the USDA, FDA, EPA, ect….right now they sell to the highest bidding corporation. And just enough time to kill off the useless eaters …..
And we need more time to forget how to spell USDA < corporate drug pushers like most other alphabet agencies.